After graduating from Kunitachi College of Music, Nanae moved to the United States where she earned a master’s degree at The Boston Conservatory. She studied under Nancy Zeltsman. While studying there, she also served as a faculty at the highly regarded Berklee College of Music. She had been an official faculty at Berklee until 2004. Having won many international competitions in her school years Nanae has been praised for her brilliant technique and rich, dynamic sound full of emotion. She is only the 3rd person ever to be awarded the Premio Alosi (Switzerland). She also won the prize at the Concert Artists Guild Competition in New York in 1999. Thanks to that meteoric rise she was able to have her debut recital at Carnegie Hall in New York, a site that is aspiration of musicians all over the world. She has made her name know around the world as an international Japanese artist. While holding most of her concerts in the U.S. she has also been invited to play in Guatemala (Central America), where the marimba is a national symbol as well as playing with the Costa Rica National Symphony Orchestra in Costa Rica in the government-sponsored International Festival of Music. As an international ambassador, she was invited to Columbia, Honduras, Panama and Turkey. She enjoyed performing with local musicians as a cultural exchange program. She held many concerts during tour and welcomed thousands of audience. In all she has performed in concerts in over 17 countries,using music to promote international goodwill. 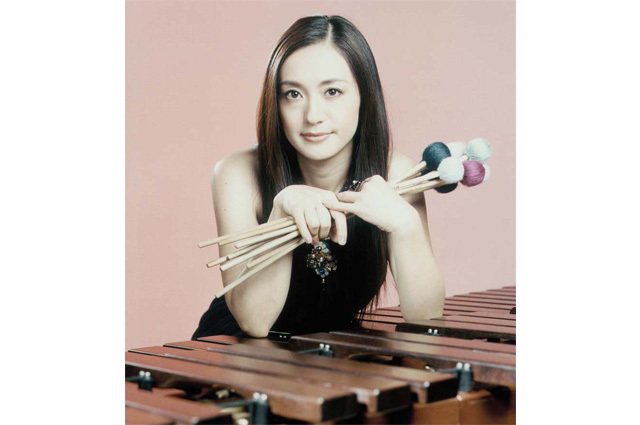 In Japan, she has released the albums “Marimba Spiritual” and “Universe” from Sony Records. Her CD with arrangements and cover versions of the pop music of such artists as Stevie Wonder and Enya brought new life to the marimba, won her both high praise and attention from different industries. As well as making her solo debut at Kioi Concert Hall she has been able to perform in the “Tokyu Silverter Concert” and “Live Image”. Also, she has shown versatility by performing on the closing theme song for a Japanese animation, the CF song for House Foods, and more. With her wide range of understanding different tunes and styles, she has been producing commercial music that includes a theme song for movies and TV program. Since changing her base of activities to Japan, she released her third (3rd) album “Prana” in 2006. This album differs greatly from her 2 earlier works with a newly reborn pop sound establishing her as a pioneer in the world of the marimba while bringing to life a distinctly 21st century sound. In addition, she has recorded three works which she composed herself. The marimba was born in Africa and Central America and brought up in the US and Japan. Now, Japanese artist Nanae Mimura is carving a new history on the world stage.